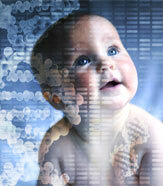 The “National Reference Centre for Genomics and Proteomics” (MACPROGEN) was financed by the European Commission within the FP7 Capacities Work Program for a period of 3 years, starting April 1 2009. The MACPROGEN project aimed at upgrading and improving the capacity of the Research Centre for Genetic Engineering and Biotechnology (RCGEB) “Georgi D. Efremov,” Macedonian Academy of Sciences and Arts (MASA), Skopje, Republic of Macedonia, for research and education in the fields of genomics and proteomics. The main objectives of the project were to establish a technological platform for high throughput genomics and proteomics research, networking with European Union (EU) research institutions in order to foster collaborative activities, disseminating knowledge and expertise and ultimately building an interactive and competitive research environment. Altogether, the realization of MACPROGEN objectives was contributing to the strengthening of Macedonian research, technology and development capacities and enhancing career opportunities for Macedonian scientists. The RCGEB is one of the few institutions from the Republic of Macedonia that met the criteria for a center of excellence due to its esteemed scientific and educational record in life sciences. The RCGEB was founded in 1987 as a research unit of MASA with the main goal of advancing scientific knowledge in the field of protein chemistry, molecular biology, genetic engineering and biotechnology through research, practical training of scientists and postgraduate studies. Under the guidance of the late Academician Georgi D. Efremov, the founder and Director of RCGEB until his death in May 2011, the RCGEB became a hub for research in the field of biomolecular sciences in the Republic of Macedonia. It was one of the first institutions in the region that applied these new technologies in molecular diagnostics of human diseases and became an international center for training in basic and advanced methods in these sciences. Immediately after his death, the Presidency of MASA renamed the center in his honor, as the Research Centre for Genetic Engineering and Biotechnology “Georgi D. Efremov.” In the past 25 years, the RCGEB scientists have published over 150 papers in international and national journals, as well as several chapters in books and monographs. The RCGEB collaborates with numerous institutions from the Republic of Macedonia, medical institutions from neighboring countries and many academic institutions from different countries worldwide. The main research interest at the RCGEB during the past 25 years has been molecular characterization of the most common monogenic diseases, with a special emphasis on hemoglobinopathies, as well as some aspects of the molecular epidemiology of infectious diseases, genetics of the most common malignancies and DNA markers for human identification. The upgrading of the RCGEB infrastructure by MACPROGEN funds has enabled widening of the research objectives toward larger scale investigations of monogenic diseases and also shifting our research interest toward comprehensive studies of some common complex diseases such as cancers, infertility, mental retardation and deafness by high throughput genomic and proteomic technologies.